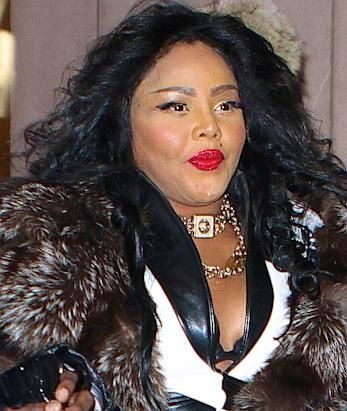 Lil Kim has caused a stir on the internet after firing back at the media for SABOTAGING her image by photoshopping photos of her to make her look completely different. Yet, we struggle to believe this, seeing that there are so many new pictures of the rapper looking completely different — her face is barely recognizable to what it used to look like. Well, Kim feels like people are trying to ridicule her, such as gossip site MediaTakeOut who posted some pictures of the singer looking much fuller in the face than usual. Her attorney has since threatened to file a lawsuit against the company which saw the site immediately retract the images — so there seems to be some truth behind those pics, but the rest, they are unedited and show a very weird looking Kim. There’s no denying that the Queen B has consistantly worked on her face to make it look perfect, but her surgeon seems to have done a completely bad job at it. She struggles to smile without her lip facing one way and her cheeks bloating up — very odd looking, we must say. But Kim is still in denial, she thinks the images that are going around on the net are edited to ridicule her face. What do you make of this? Is Kim’s face natural-looking or just completely full of botox and plastic?